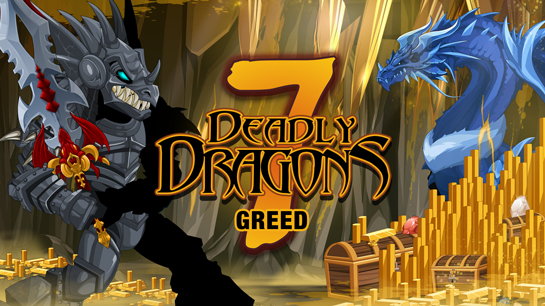 The 7 Deadly Dragons Saga continues this weekend! Deep inside a fortress, hidden from sight and out of reach of the family who would seek to reclaim them... Lascivia, Dragon of Lust feasts and frolics and delights in the antics of the kidnapped, enchanted princes and princesses - her royal horde hoard! 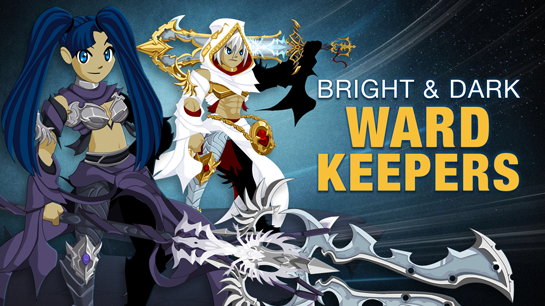 Regal Gear for the Royal Hero! Lascivia's Hoard'em is full of royal princesses and princes. Many serve as her attendants, waiting on her hand and foot. Others dance for her amusement, or serve as Royal Hoard guards. Those she favors receive enchanted armors which change color as the bearer chooses. 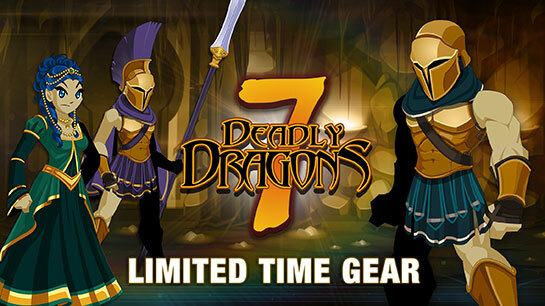 Find the Royal Centurion set and other regal gear in the Featured Gear Shop, available for AdventureCoins until September 1st, 2017! 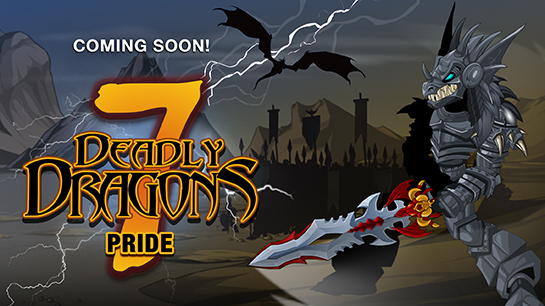 The Seven Deadly Dragons Saga Continues! Dragons. Zombies. Creepy slime creatures. It’s easy to fight monsters you can see. But this weekend, the real danger is an invisible sickness spreading through the village of River’s End. Lim the Scientist has traced the outbreak to its source. Your mission: confront Phlegnn, Slime Dragon of Sloth and find a cure for the plague before it spreads beyond the quarantine zone! After you fight to "convince" Phlegnn that he's a danger to the village, you'll be able to farm for this weekend's reward gear. 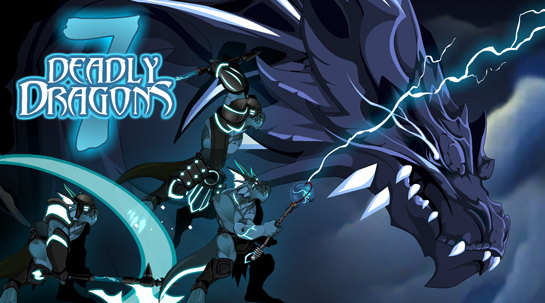 Our newest set was suggested and created by one of your epicly-talented fellow heroes: Antisam! He worked with Xarvinth to craft the super-sick (in the good way! 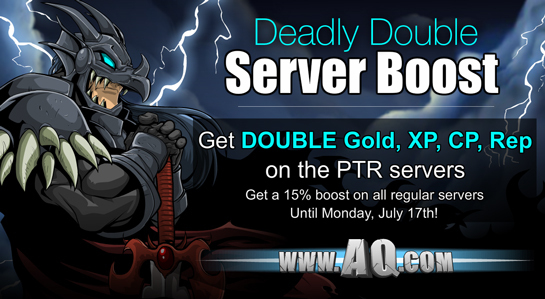 ), Plague Knight set! Battle to collect the resources to create the 0 AC gear, then talk to Lim in /sloth to merge the components into each of the set's pieces. 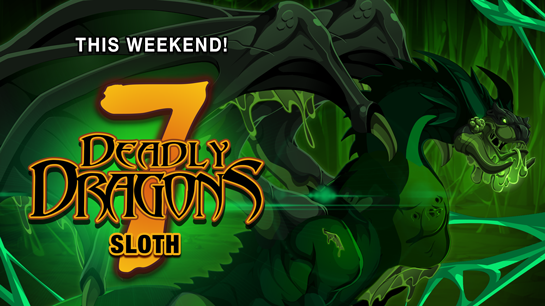 This Friday is the first of a two-week battle against the Dragon of Sloth! Next week, return for part 2 of Phlegnn's story, an ACTUAL sloth monster,* and an even more evil version of the Plague Knight set... the Bloodborne Plague set and the Elemental Summoner limited quantity set! Some of you have asked... "How does a slime dragon and a plague represent Sloth?" That is a fair question! It would have been easy (maybe too easy) to make a sloth-shaped dragon and use that for our boss. 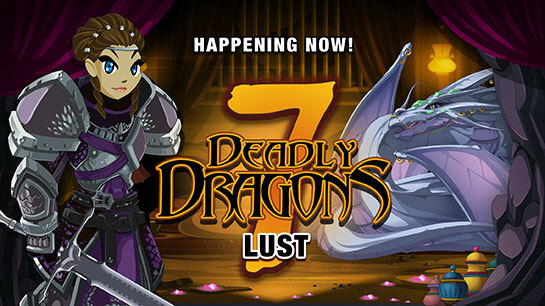 Each of the 7 Deadly Dragons is based on / embodies a sin. To shape this release, we drew inspiration from the following historical meaning of sloth: "without care" / "disregard" plus the more common definition of "sluggish" / "laziness." Phlegnn, Slime Dragon of Sloth, embodies one of the most insidious sins. He destroys lives through laziness and inaction, just by choosing not to move. To... do nothing. 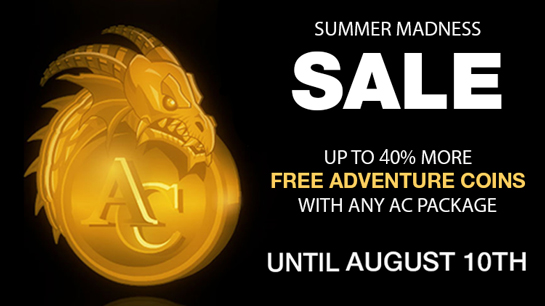 But a dragon that doesn't move much would not make for a very fun battle. This weekend, you'll need to battle the invisible illness he's spread and fight to cure the villagers (and if you're truly kind, HIM). Get your blood pumping, your blade moving, and take. Him. DOWN! * By popular demand, the Actual Sloth (aka the Slothagon) monster will release in-game... and not just taunt you on Twitter.